I was interviewed by Ruth McKee of the Enfield Advertiser about the new primary school that is to be opened in Southgate for September 2014. 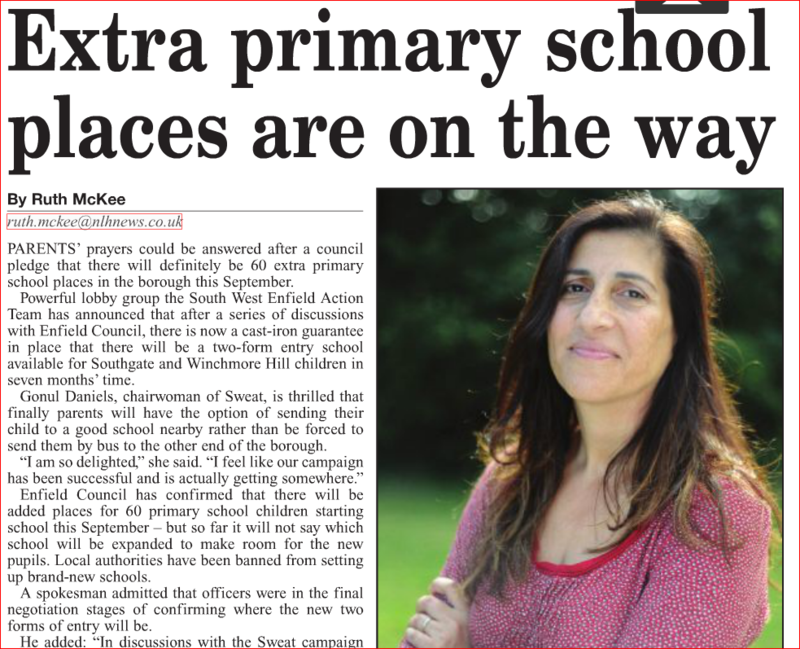 Many parents of children starting school this year will not be aware of this development unless they have been following the We Want Local Schools campaign that I set up with a group of concerned parents; also known as SWEAT (South West Enfield Action Team). Here is part of the article and the full article can be read here.